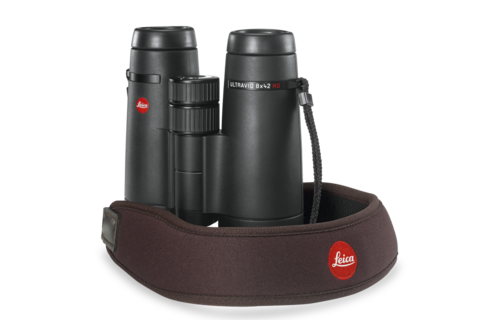 Thanks to their contoured design, the Neoprene carrying straps from Leica adapt perfectly to the body and, thanks to a broad, cushioned Neoprene element, also offer superior comfort when carrying binoculars. The structured, rubber-like lining guarantees ideal grip on the shoulder and prevents binoculars slipping when walking or climbing. First-class materials and high-quality finishing make the Neoprene carrying straps particularly robust and hardwearing. As a further advantage, they guarantee almost silent use of binoculars.